Outbreak! Plague At The Dungeons! It’s 1665 and the black plague has taken over The Dungeons! The plague doctor is dead… but don’t worry, his assistant is in charge. What could possibly go wrong? 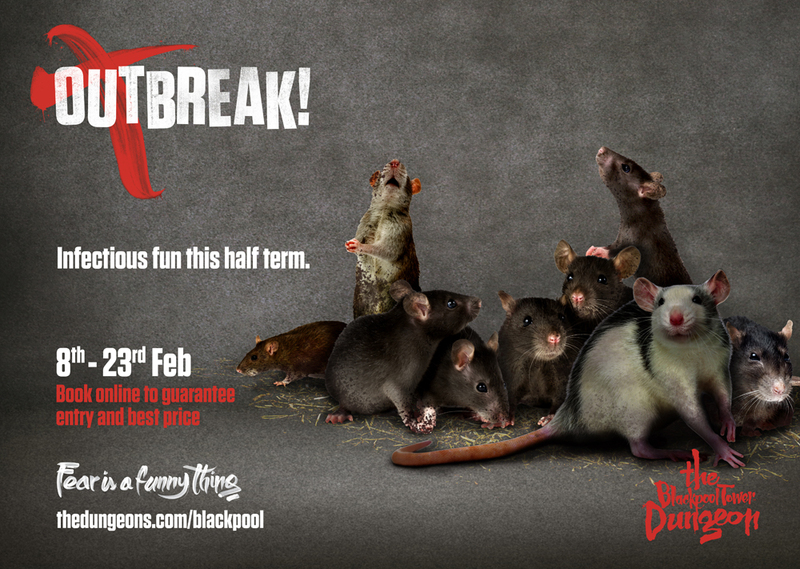 When our friends at Merlin Entertainments approached CuCo to create a terrifying logo and a gruesome visual campaign to promote their disease-ridden half-term extravaganza at The Dungeons, we were immediately itching (uh-oh…) to get started. Dark, murky street scenes over-run with filthy rats, red crosses hurriedly splashed across the doors’ of the infected, we knew that the visuals for The Dungeons plague event had to be truly skin-crawling, tempting all manner of Dungeons fans from across the world to experience the terrifying and horrific atmosphere of this dark period of England’s history. With a consistent ‘Outbreak!’ logo mark pulling the whole campaign together, the visuals we designed incorporate many of the most iconic aspects of the black plague, transporting Dungeons’ visitors back to 1665 plague-contaminated England. 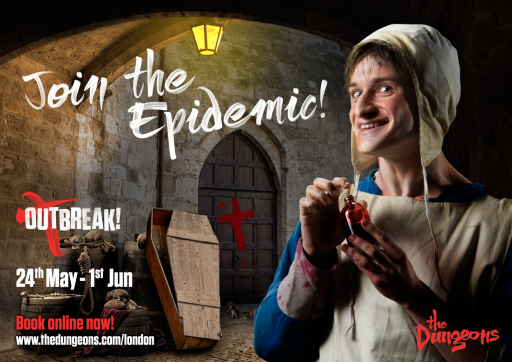 Integrated into the Dungeons’ website as well as utilised on online advertising banners and printed literature, the visuals worked on multiple platforms and for numerous Dungeons attractions to result in a surge of interest in the horrible half-term plague spectacular! Check out more of our work for The Dungeons here (but only if you’re not infected). Previous Post: 40 Years Of Bridport Arts!